Commit to Fit with our Spring Promotion. 1 Month of UNLIMITED classes for $99. 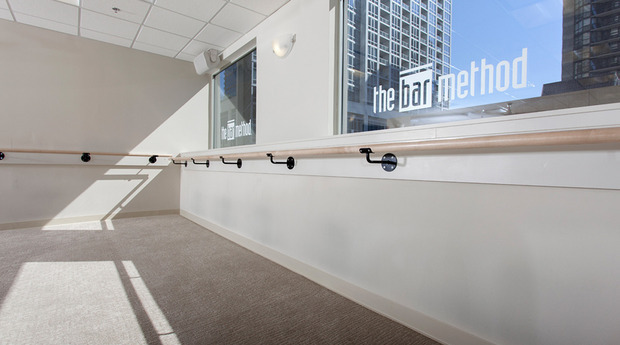 The Bar Method Chicago - Gold Coast is a boutique fitness studio offering barre classes for students of all levels. The signature method uses your own body weight, the ballet barre and a few props to create a transformative workout that results in long, lean sculpted muscles. Not only does it reshape your entire body, but it allows you to channel your inner strength and leave class feeling strong, confident and poised. Highly-trained instructors customize the exercises to ensure they are safe and effective for any age and every body, including modifications for pregnant women and students with injuries. Our staff and community are here to support you from the moment you walk through the door. Located in the Chicago Gold Coast at the southeast corner of State & Delaware on the 2nd floor of the 1 E. Delaware Place. We are a short walk to the Magnificent Mile shopping district, Northwestern and Loyola Universities. We offer 4 hours of parking for just $5 by entering the garage on the north side of Chestnut Street. The Red Line is two blocks south at Chicago Ave & State Street. Emily spent over 20 years working in the corporate world but it was her love of dance that brought her to barre fitness. After trying several studios and not getting the results she desired, a co-worker recommended trying The Bar Method. She was so inspired by the technique, focus on form and exceptional instructors that she left her successful career and became a Bar Method instructor. In 2018 it was only natural for her to purchase the Gold Coast studio. She is excited to revitalize the dedicated Bar Method Gold Coast community and bring the power of this transformational workout to new clients. We highly recommend reserving classes online or The Bar Method app in order to guarantee your spot in class. While walk-ins are welcome, class sizes are limited and can be sold out. Please wear exercise pants that cover the knees (men can wear compression/bike shorts under above-knee shorts), a top that cover the midriff, and socks that cover the entire foot. Please do not bring glass or uncapped drinks into the exercise studios. Capped water bottles are allowed. Only water is allowed in the studio to protect the carpet and equipment. Please do not bring cell phones into the exercise studio. Lockers are provided with keys and we ask that you leave your phone in a locker along with the rest of your belongings. If you have an important call you’re waiting for our desk staff can come get you from class if you leave your phone with them. Clients aged 13 – 17 must be accompanied by an adult. Please discuss any injuries or physical limitations with your instructor before class and they may give you modifications for certain exercises. We offer 4 hours of parking for $5 in the 1 E. Delaware parking garage (enter on the north side of Chestnut). Take a parking ticket when you arrive and purchase your parking inside the studio. We will give you a voucher to use when you exit. Club Bar Unlimited members are allowed to freeze their memberships twice per year for up to 14 days each time period. Non-Club Bar Unlimited Members can freeze their membership for up to 14 days for a fee of $25. 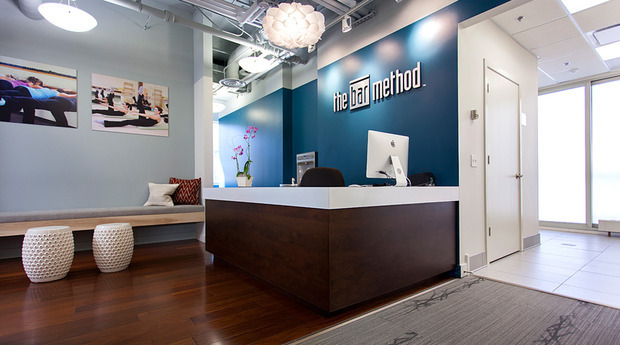 All sales on Bar Method classes have a 7 day refund timeframe.